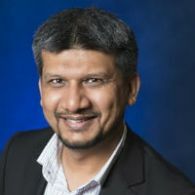 Before joining the University of New England, Syed has previously worked as Lecturer and Postdoctoral Research Fellow in Marketing at Tasmanian School of Business and Economics and the Business School, Queensland University of Technology (QUT). Before this, he worked as Quantitative Analyst for School of Advertising, Marketing and Public Relations, QUT. Syed has completed some research and entrepreneurial projects using advance statistical and project management techniques, and he has contributed to 14 small to medium size projects including Devonport Digitalisation, Brisbane Airport Corporation (BAC) and Global Entrepreneurship Monitor projects. Seven of these projects are related to consumer choices and responses and are published in the Journal of Business Research, Journal of Marketing Management, Journal of Services Marketing, and Journal of Retail and Consumer Services. Syed has over ten years undergraduate and postgraduate teaching experience in Australia and overseas, including three years teaching and mentoring experience with Aboriginal and Torres Strait Islander students under the Oodgeroo program funded by QUT. He also has had some administrative positions in public universities in South Asia and Australia to design and implement educational programs and projects. He has won some teaching and learning grants and has sound experience in managing teaching and learning projects. Syed's research aligns with the University's research theme of Better Health. His research interests include understanding how consumers' positive emotions contribute to their and others well-being. Syed's research into positive emotions such as gratitude and hope has got the focus of some service firms due to the important roles emotions can play in generating profits and employee productivity. Syed is also researching the role of positive emotions in developing consumer perceptions of brand innovativeness and sustainability and attainment of consumers' personal, professional and social goals. He is also working on understanding whether different psychological mechanisms can explain the relationships between firms' economic and non-economic investments and positive organisation and consumer-related outcomes in different contexts such as B2C, B2B and C2C. Syed's other work is focusing on the role of positive emotional and behavioural responses in group settings, particularly online group settings. Drawing upon social marketing theories, Syed is working on anti-drinking and anti-radicalisation themes. The role of hope and brand love in developing repurchase intentions. What do scholarships do for their providers? The role student gratitude. Syed is interested in supervising projects pertaining consumers' perceptions of brand innovation and sustainability, the non-linear study of consumer emotions and BIG Data in managing CRM systems. Syed is also interested in looking into the roles that positive emotions can play in developing customer loyalty to firms and marketing of CSR practices. Ahmad, S., Fazal-e-Hasan, S. M. & Kaleem, A., (2018). How Ethical Leadership Stimulates Academics' Retention in Universities: The Mediating Role of Job-related Affective Well-being. International Journal of Educational Management, (Accepted). Fazal-e-Hasan, S. M., Ahmadi, H., Kelly, L., & Lings, I. N. (2018). The role of brand innovativeness and customer hope in developing online repurchase intentions. Journal of Brand Management, 1-14. Andrews, L., Bianchi, C., Wiese, M., Cuneo, A., & Fazal E. Hasan, S. (2018). Segmenting Brands' Social Network Site (SNS) Consumers: A Four-Country Study. Journal of International Consumer Marketing, 1-17. Fazal-e-Hasan, S. M., Ahmadi, H., Mortimer, G., Grimmer, M., & Kelly, L. (2018). Examining the role of consumer hope in explaining the impact of perceived brand value on the customer–brand relationship outcomes in an online retailing environment. Journal of Retailing and Consumer Services, 41, 101-111. Fazal e Hasan, S., Lings, I. & Mortimer, G. & Neale, L., (2017). A better understanding of customer-firm relationships through gratitude. American Marketing Association Summer Conference 2017, San Francisco, US. Russel-Bennette, R., Kuhn, K. Fazal-e-Hasan, S. & Tuzovic, S., (2016). Investigating the impact of learning styles on student behaviours towards creating reflective videos: An analysis of QUTOPIA TV Marketing EducationAssociation (MEA) Conference 2016, Denver, Co, USA. Fazal e Hasan, S., Lings, I. & Drennan, J & Kim, J. H., (2015). The effect of positive employee deviance behavioural intentions on personal and organisational attainment. The mediating role of employee hope. Australian & New Zealand Marketing Academy Conference 2015, Sydney, Australia. Kim, J. H, Beatson, A., Johnston, K. &Fazal e Hasan, S., Lings, I. & Drennan, J and Kim, J. H.., (2015). The role of employee gratitude in explaining the relationship between perceived organisational support and customer orientation. Australian & New Zealand Marketing Academy Conference 2015, Sydney, Australia. Fazal e Hasan, S. (2012). Cross-cultural data collection from field-settings- hazards and precautions. QUT Library, QUT, Australia. Fazal e Hasan, S. (2011). Are grateful customers more loyal to their benefactor firms? Australian & New Zealand Marketing Academy Research Colloquium, 2011, Perth, Australia. Fazal e Hasan, S. (2011). Does customer gratitude strengthen seller-buyer relationships? QUT School of Business Colloquium, QUT, Australia. Fazal e Hasan, S., Lings, I. & Neale, L., (2011). The role of customer gratitude in making relationship marketing Investments a success. Australian & New Zealand Marketing Academy Conference 2011, Perth, Australia .